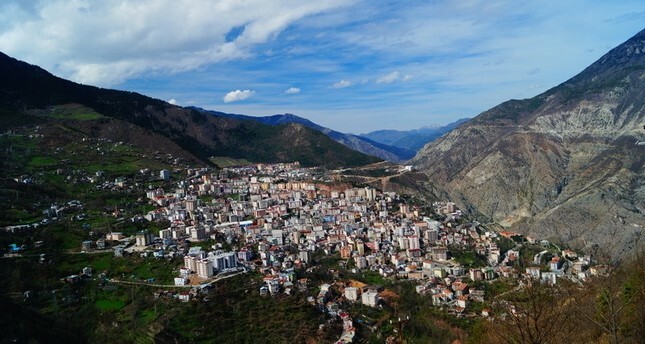 An aerial view of northeastern Turkey's city of Artvin. In a list released Tuesday by tourism market researcher Euromonitor International in London, the four cities are among the top destinations for tourists in the world. According to the list, Hong Kong is the most visited city in the world with over 26.5 million visitors. Bangkok came second with over 21.2 million visitors, followed by London with over 19.2 million. Istanbul came 15th with over 9.2 million visitors, Turkey's tourism capital Antalya 29th with over 6.1 million, western Edirne 68th with almost 2.8 million and northeastern Artvin ranked 85th with almost 2.4 million. According to Euromonitor International, many traditional top city destinations have been registering weak performances due to tourists' security concerns caused by a number of terrorist attacks throughout Europe. "Despite terrorist attacks, the top 10 European cities remain largely unchanged — although Paris has dropped down the ranking following the two high-profile attacks in 2015," the report said. The report added, however, that Artvin bucked the trend as it remained popular with Georgian tourists due to its proximity. Artvin was also listed among "Five Strongest Performing European Cities in 2017," registering a 9 percent increase in arrivals this year. Euromonitor International found that in 2016, the top 100 cities accounted for 558 million international arrivals. With 1.2 billion trips taken worldwide, visits to the top 100 cities accounted for almost half at 46 percent. "The importance of cities for tourism has been growing steadily over the years, with top 100 city arrivals outperforming global arrivals almost every year, and this trend is expected to continue," the report said.